Today I have a treat for you - I am doing a pattern tour for my fox lovey pattern. Three lovely bloggers have sewn up a fox lovey from my pattern and are sharing them on their blogs. 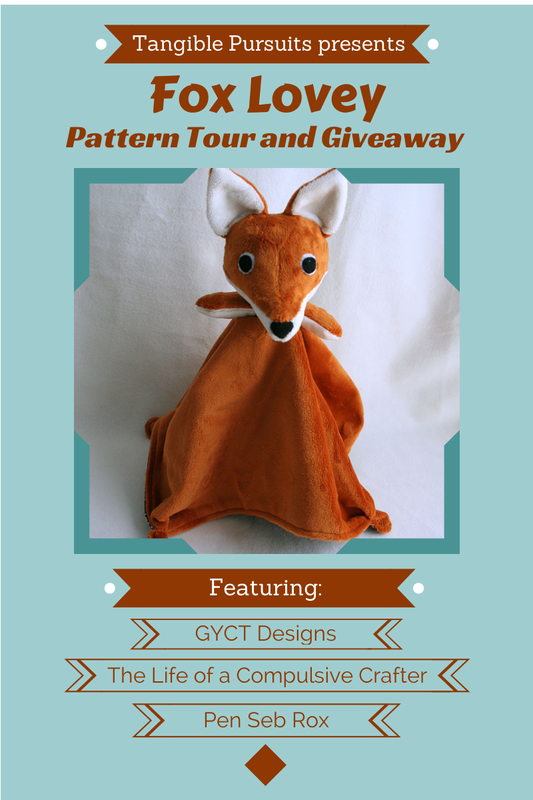 Plus, we are giving away one free copy of the Fox Lovey Sewing Pattern. First up on the tour is Chelsea from GYCT (Get Your Crap Together) Designs. She made her fox lovey out of knit fabrics, which I wouldn't necessarily recommend, but it turned out great! Check it out here. 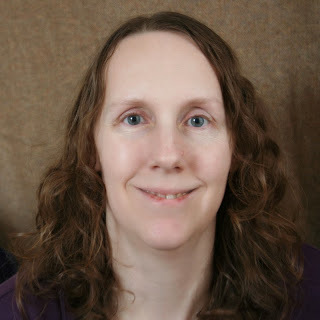 Next up is Mae from The Life of a Compulsive Crafter. She made an arctic fox in grey and white and he is so sweet! Check him out here. Finally, we have Roxanne from Pen Seb Rox. Roxanne made a fox lovey couple who are sporting fun prints for the contrast fabrics and accessories! Check them out here. Now, for the giveaway! One lucky reader will win a free copy of the Fox Lovey PDF Sewing pattern. Enter to win using the Rafflecopter widgit below. You can enter through Sunday, May 18. The winner will be announced on May 19. You can also buy the pattern on Craftsy (affiliate link). Thanks for having me! Such a fun pattern! Thanks for being a part of the tour Chelsea! I am glad you had fun! I had so much fun making the lovies. Thanks for letting me be part of the tour!